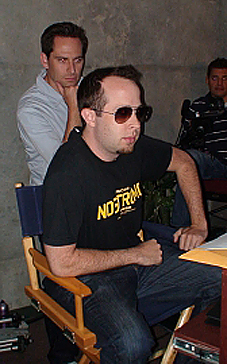 Jim Swallow sent us this photograph of writer/director/executive producer Martin Gero of the Stargate Atlantis TV series wearing a Last Exit to Nowhere T-shirt. Very cool! Thanks Jim.